At the time of the 1772 survey of Oxford, No. 43 was two separate houses. To the south lived Mr Thetcher, with a frontage of 7 yards 1 foot 4 inches; and to the north was Mr Moore, with a frontage of 4 yards 0 feet 2 inches. The 1841 census shows Mrs Margaret Keen, a widow aged around 80, living at No. 43. At the time of the 1851 census this house was occupied by the Revd William Hunter, Chaplain of Corpus Christi College, and his wife and three servants. George Fox Bridges, who had lived over his grocer’s shop at 56 St Giles’ from 1830 to at least 1852, had retired to this house by 1861. 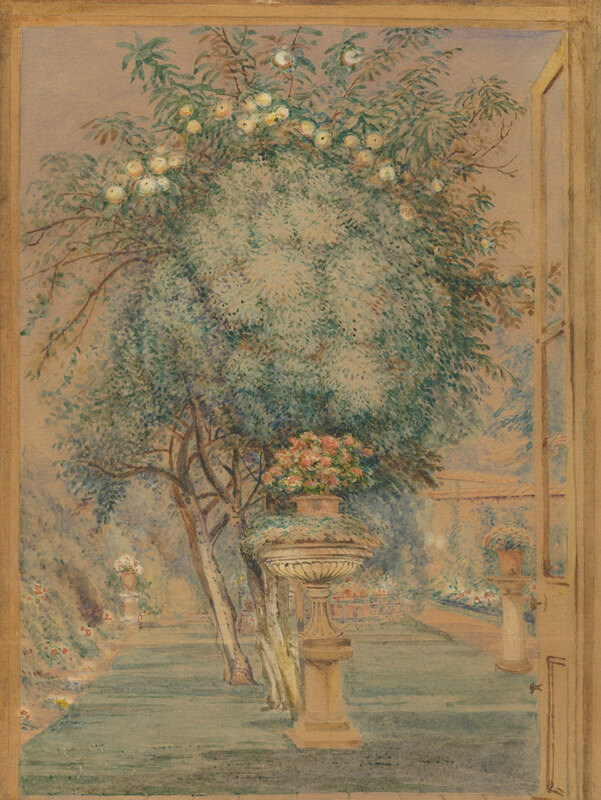 His artist brother Thomas Bridges had painted the back garden of No. 43 as early as 1843, which suggests that the Bridges family had a connection to the house before George’s retirement. 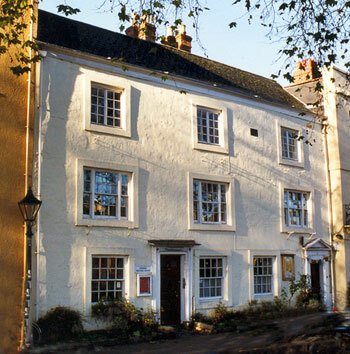 In 1861 George Fox Bridges, aged 54 and described as a retired grocer, lived here with his unmarried sister Mary Elizabeth Bridges and one servant. He died near the end of 1862, and his sister continued to live alone in the house with one servant until her own death at the age of 75 in 1884.